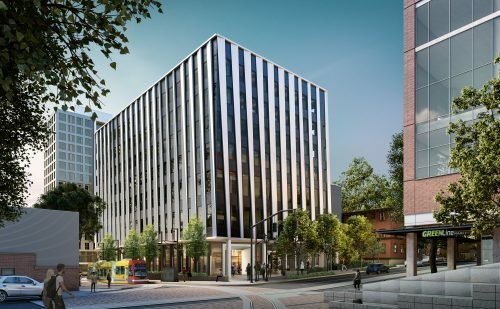 Portland Mayor Ted Wheeler and the presidents of Portland Community College, Portland State University and Oregon Health & Science University launched the construction of a $104 million civic, education and health center on PSU’s campus last Friday. 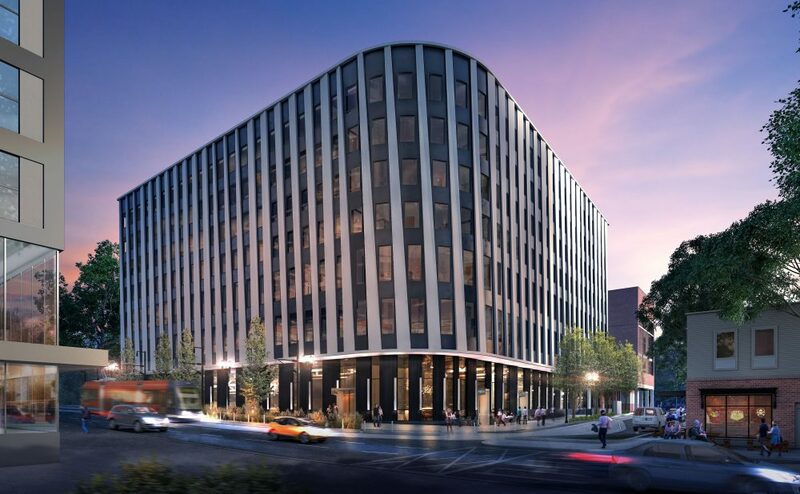 The seven-story Fourth and Montgomery Building is slated for completion in fall 2020 at SW 4th Ave. and SW Montgomery St., a former parking lot in the middle of campus donated by Prosper Portland for the project. 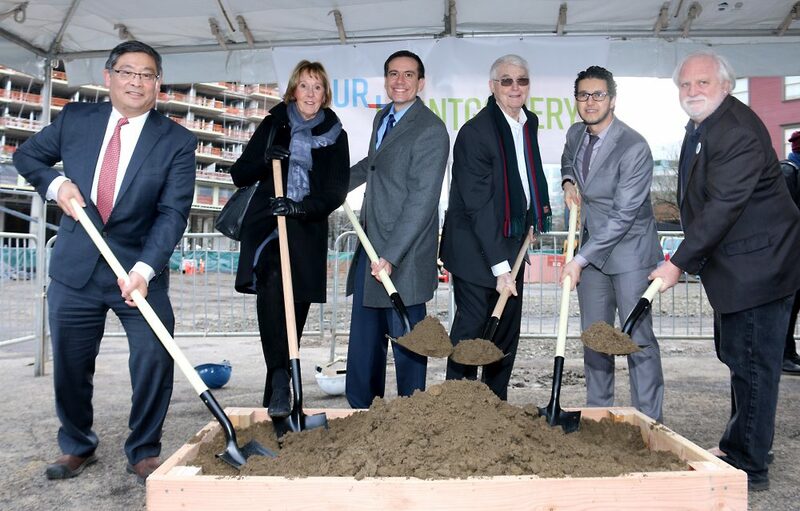 The building project is a partnership between PCC, PSU, OHSU and the City of Portland. 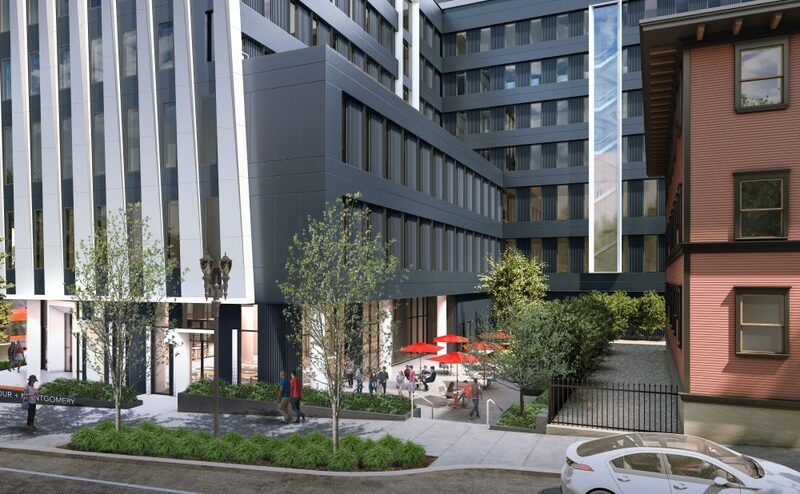 It will house PCC’s Dental programs, the OHSU-PSU School of Public Health, PSU’s College of Education, and the City of Portland’s Bureau of Planning and Sustainability. PCC’s Dental programs and clinic will move from the Sylvania Campus to the third floor of the Fourth and Montgomery building. 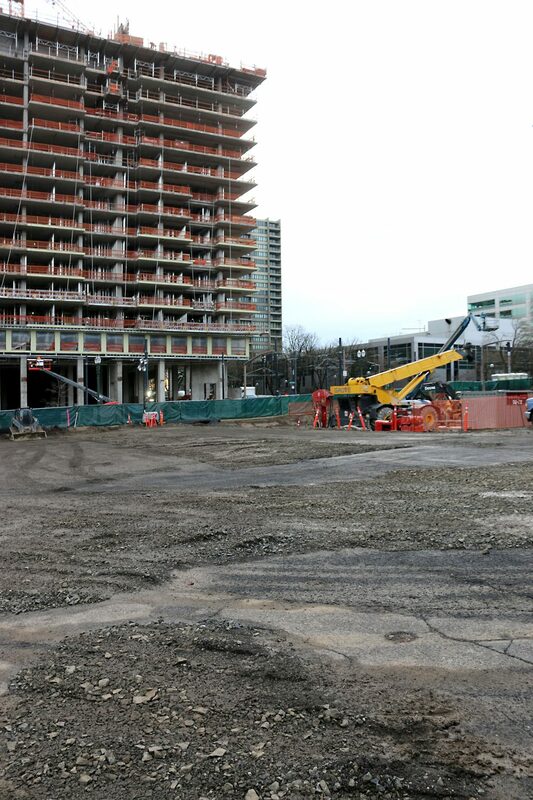 Relocating are Dental Assisting and Dental Hygiene, both high-demand specialties. Between these two disciplines, PCC is capable of educating more than 100 students annually. The college’s dental clinic serves as a teaching facility for students and offers low-cost oral healthcare services to about 2,000 patients a year. 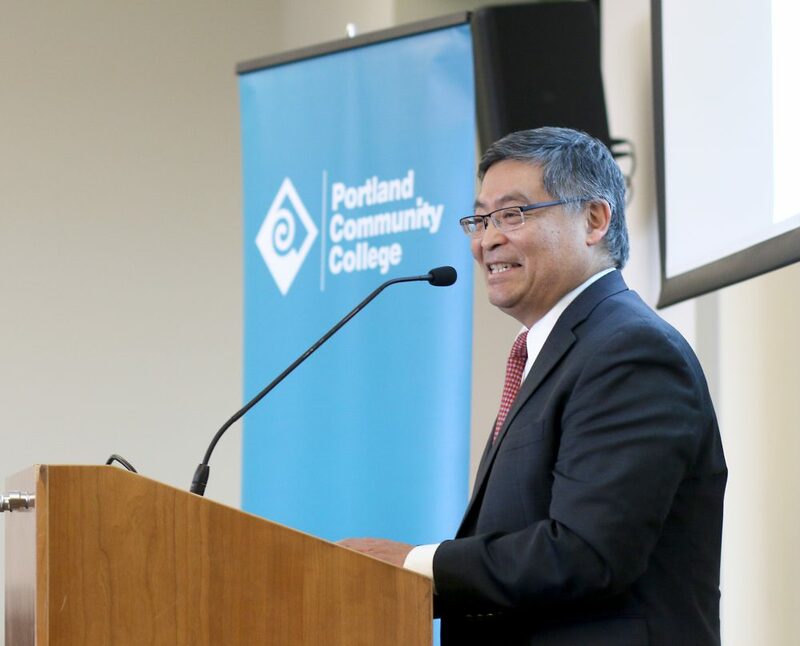 PCC President Mark Mitsui noted that part of the funding comes from the college’s voter-approved bonds. 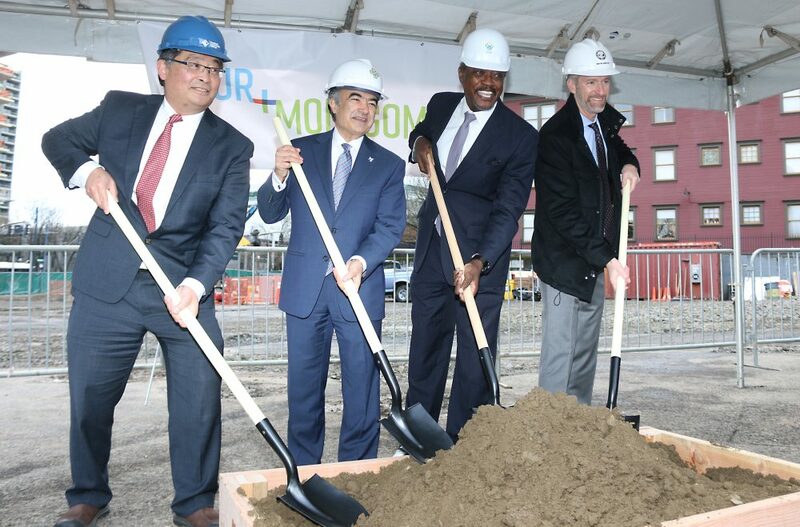 “This project is an example of how local investment in higher education can open doors and create incredible opportunities,” he said. 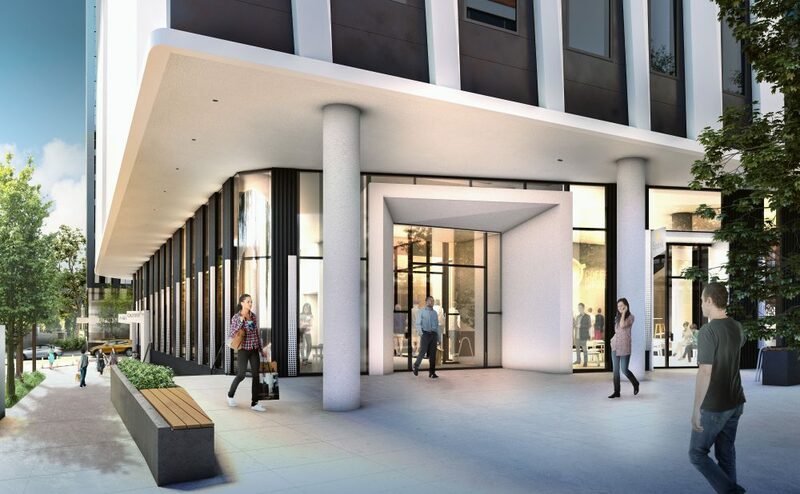 At 175,000 square feet, the building will also have low-cost mental health services for the public and will feature ground-floor retail and restaurants. 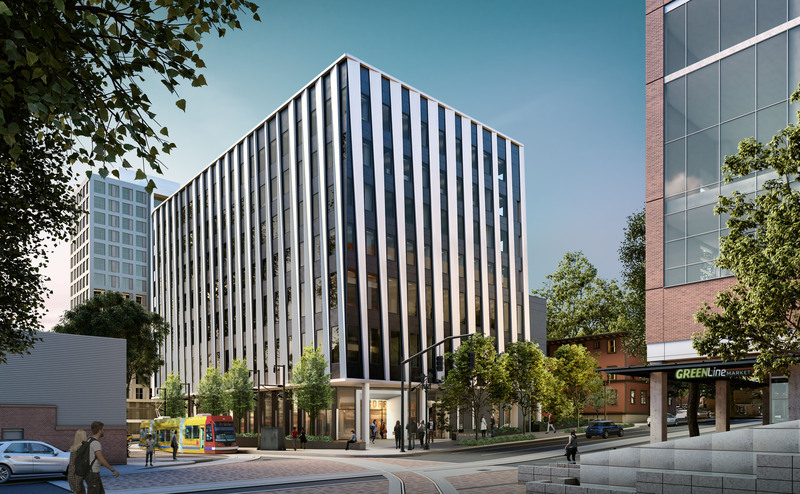 Wheeler characterized the project as vital to Oregon higher education and an unprecedented collaboration between the city and Portland’s three public higher education institutions.